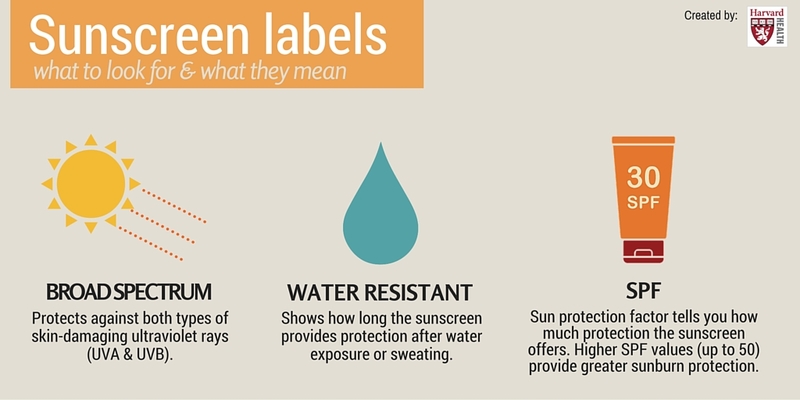 For the longest time, sunscreen labels used terms like "sunblock" and "waterproof" that made you believe the products could block out the sun or stay on your skin no matter how wet and sweaty you got. But the truth is that no sunscreen can do either. That's why the U.S. Food and Drug Administration now requires sunscreens to have labels with more useful information and fewer misleading terms. 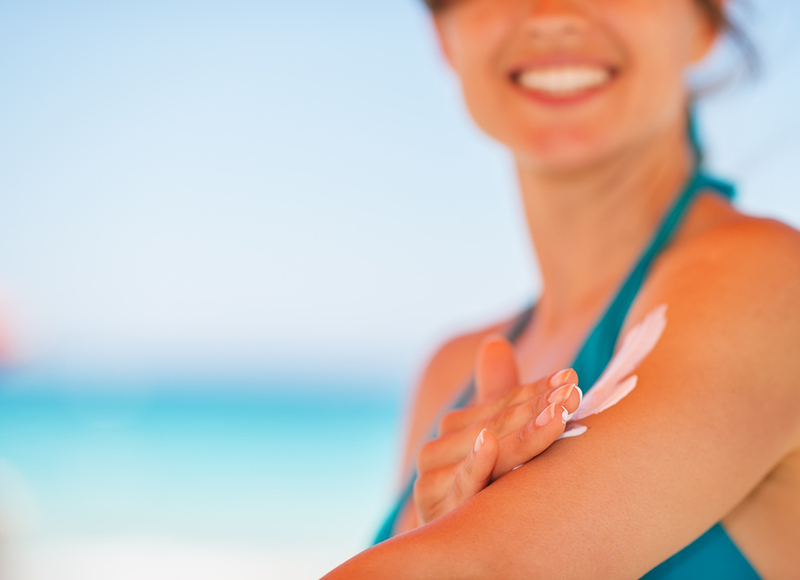 Here are 12 things you should know when choosing and using sunscreen. Get rid of old sunscreen. Yes, there's a shelf life of 3 years, but you don't know when a product first landed on a shelf. Theoretically it's good until the expiration date, if there is one — but that's only if it hasn't been exposed to any extreme heat. I don't know the temperature of your beach bag, but mine gets pretty hot. Better to throw out the old sunscreen and buy a new tube or bottle. SPF tells you how much protection the sunscreen offers. Higher SPF values (up to 50) provide greater sunburn protection. You definitely don't need to buy a product with an SPF higher than 50 for your child. You are better off buying a hat — or clothing that deflects UV rays. The FDA has banned the term "waterproof." It's now been replaced by "water-resistant." Labels on water-resistant sunscreens must clearly state how long they provide protection after water exposure or sweating. Depending on how often you swim, you can choose one that needs to be reapplied every 40 or 80 minutes. The FDA has also banned the term "sunblock." Instead, look for labels that state "broad spectrum." A broad spectrum sunscreen must pass tests proving that it truly protects against both ultraviolet A (UVA) and ultraviolet B (UVB) rays. When sunlight hits your skin, it is absorbing both UVA and UVB rays. UVB rays are the main cause of sunburn. UVA rays can prematurely age and wrinkle skin. Both contribute to skin cancer. That's why you always want a broad spectrum product. Use an ounce of sunscreen per large child or adult. That's about as much as would fill your hand — or a shot glass. You really want to cover all exposed skin well. Reapply at least once every 2 hours, even if your child doesn't sweat or go in the water. Don't buy a product that combines a sunscreen and an insect repellent. Sunscreen should be reapplied frequently, but insect repellents should not. Buy separate products and apply them separately. Choose lotions over sprays. While sprays seem easier, it's harder to be sure that you are covering all the skin well. Also, there are concerns that breathing in the spray (which is easy to do while spraying it) could be harmful. Don't buy sunscreen powders. These go on your scalp. They're easy to inhale, so avoid them. Apply sunscreen before you go out in the sun. That way, you go into the sun protected. Plus, you don't have to worry about children being squirmy or running away from you. If you have small children, apply the sunscreen before you put on their clothes or bathing suits. Then you'll be sure you don't miss any spots. The safety of some sunscreen ingredients is controversial. These include oxybenzone, retinoids and nanoparticles. The Environmental Working Group has a list of 184 sunscreens that meet their safety criteria. You can choose one of those to be on the safe side. However, it's important to know that the American Academy of Dermatology does not believe that those ingredients pose a health risk. What does pose a health risk is too much sun exposure. Burns during childhood can especially raise the risk of skin cancer later in life. So the most important thing is to buy that sunscreen — and use it often and well.